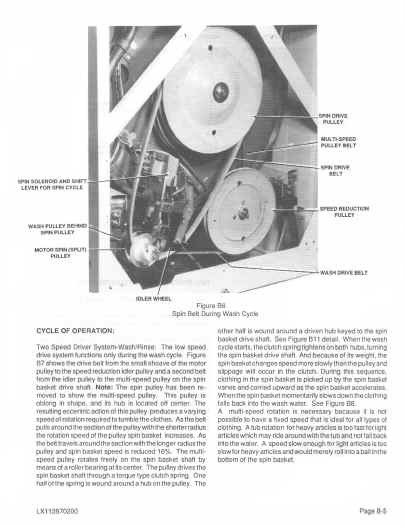 Here's a 42 page Gibson (WCI) service manual for those great old front-load washers. Covers Gibson models WS27M6WTMA and 'DTMA - but most of this material applies to all the vintage '3-belt' Front-loaders originally made by Westinghouse. This manual was originally printed in 1987 and is loaded with illustrations. 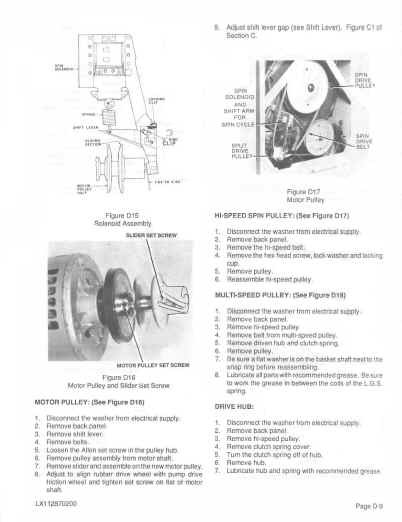 This is a direct scan of our original manual - not a 3rd or 4th 'generation' copy. In Adobe pdf format, so you can simply download it instantly - with no shipping charges! A big advantage of .pdf is the ability to zoom in on the images and examine details. Or print a hardcopy if you wish. A must-have resource for all you classic appliance enthusiasts who are familiar with the quality that was built into these old machines! File size of this manual is approx. 22.5MB, so it doesn't take long to download.